So, eventually, you're going to get new hair for the Snowball (thanks, Dad Steve!) and you won't want to tamp that down with a hat. But before that, your hair is a bit...unruly. We personally think it's part of your incredible charm, but it's also sometimes easier to keep that kind of mane tamed and out of your face, especially when trying to bait Mindflayers, hunt Demogorgons, and save Hawkins. Well, Dustin, we've got your signature hat straight out of Stranger Things! The beauty of this retro-inspired ball cap is its simplicity. 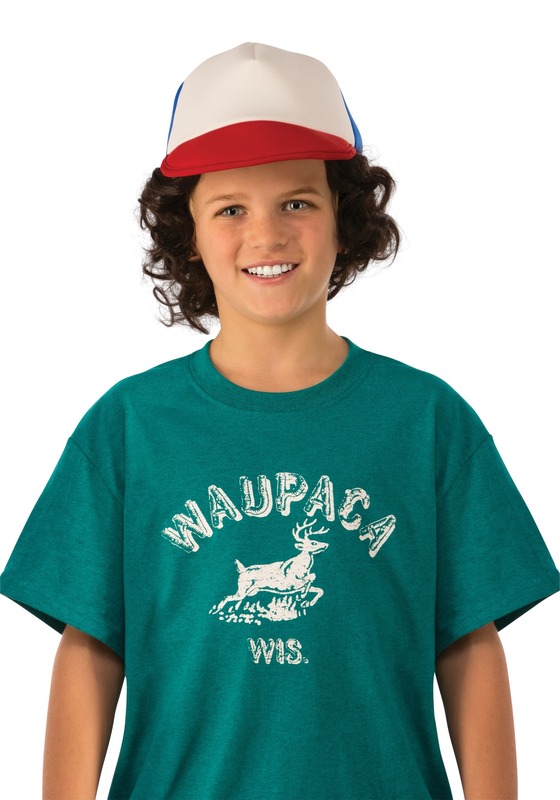 Plus, keeping your locks tucked under this Stranger Things Dustin Hat means that when you finally do make it to the dance, your slick hair will prove a big, surprising reveal! BAM! Now that you've decided you're a Dustin (and not a Mike or a Will or a Lucas), you'll need this 80s-perfect cap to top off your look (which should also include a graphic tee). This one is has a blank white front, red brim, and blue back, just like in the show! It's classic, patriotic, retro, and oh-so-Dustin! The ladies won't even know what hit 'em when they see you in this! While we think your hair at the dance is totally...memorable...we personally prefer you in this hat! In it, you're down to earth and completely yourself, and by the way, "yourself" is completely loveable!